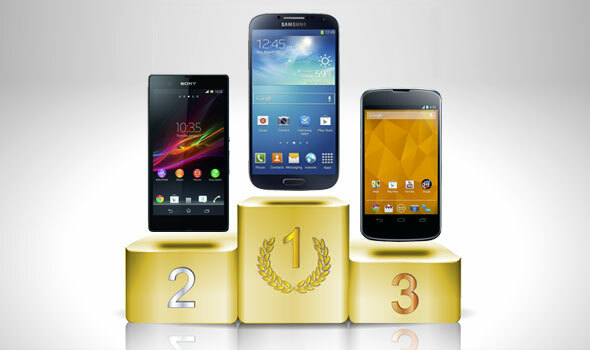 Home » Reviews Tech » Samsung Galaxy S4 has the best battery? Well, does it come as any surprise that the Samsung Galaxy S4 is on top, yet again? / © Which? Well, the fellows over at the Which? Blog did a battery test recently where they pitted the flagship models of different companies. In the test conditions, all the display screens were set to the same brightness level (a comfortable reading level) and browsing was recorded over a 3G connection. 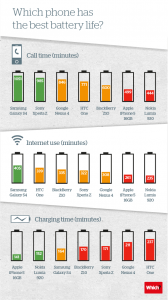 As you can see from the infographic above, the Samsung Galaxy S4 consistently ranked in the top of the pack in terms of how its battery lasted. With its 2600 mAh battery, the Galaxy S4 endured almost 1060 minutes of continuous connections and 405 minutes of Internet browsing. Among the stragglers of the pack, the Nokia Lumia 920 came in at a disappointing 444 minutes of talk time compared to 235 minutes of Internet use. Is your phone on the list above? If so, do you find the tests to be accurate with your own personal experiences?